Click the image on the left for specific pricing and etching options. 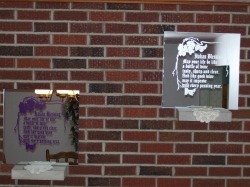 The mirror to the right is a custom sandblasted piece which is option #1. 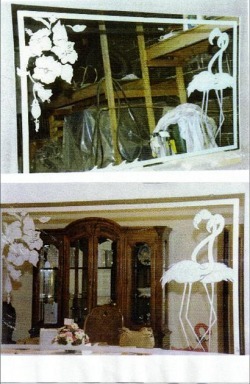 This mirror was displayed in the homeowner's dining room. 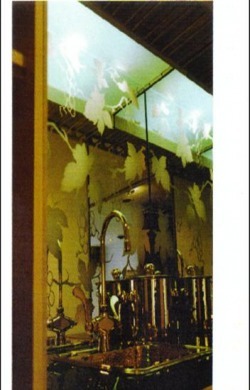 This mirror was designed for the front lobby of a Coldwell Banker Realtor. 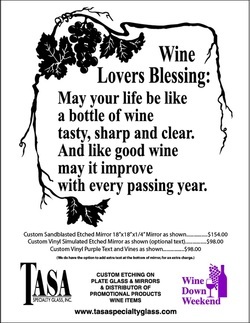 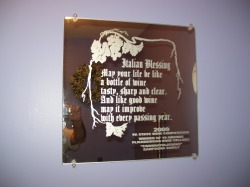 The "Italian Blessing" was etched on this mirror and the buyer hung the mirror in his wine cellar. 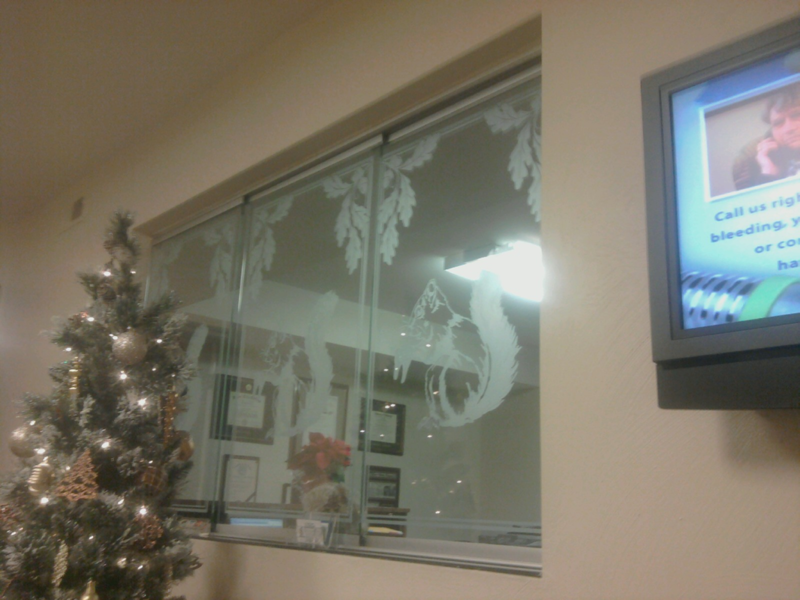 After pictures of the reception window from two different angles. 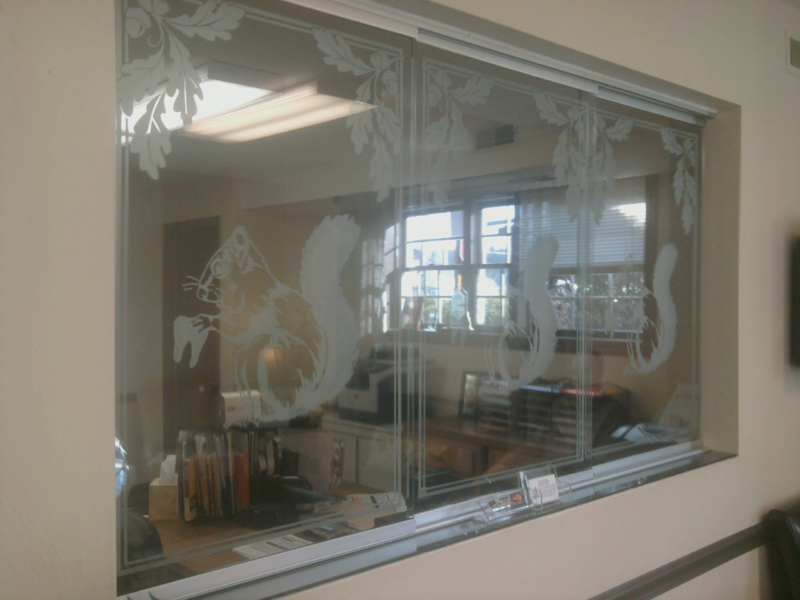 Note that when the window is opened to greet patients that the etching aligns with the other window. 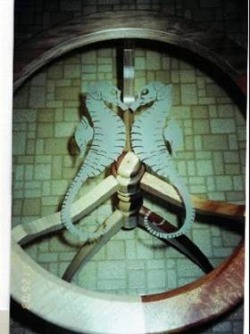 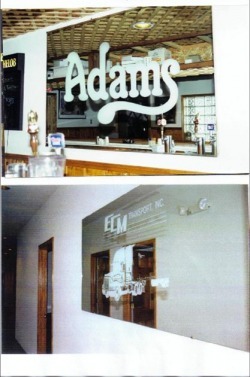 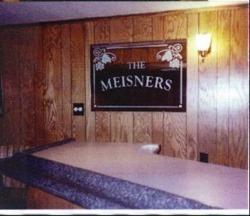 The first mirror is shown behind a bar at local restaurant. 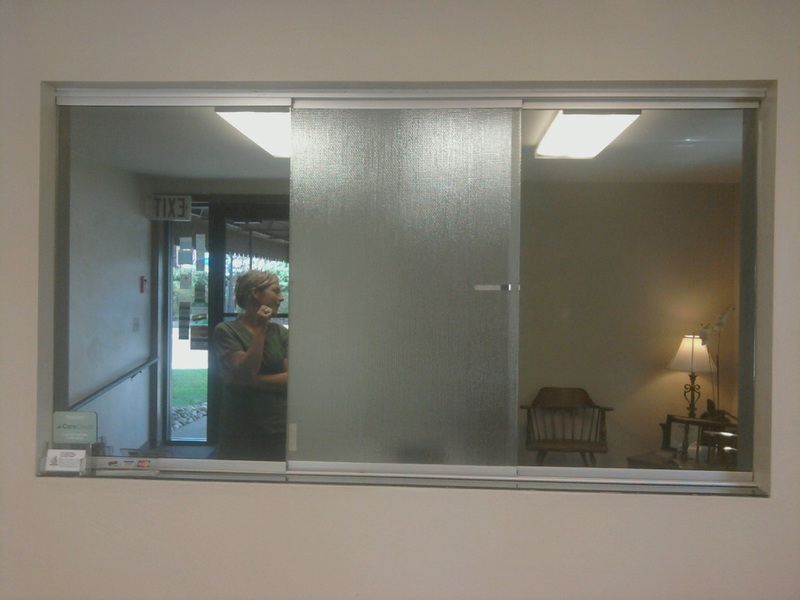 The second mirror was hung inside the entance lobby of a business office.